"Stepper motors? Servo motors must have better performance." This is a typical response when asked about stepper motors. 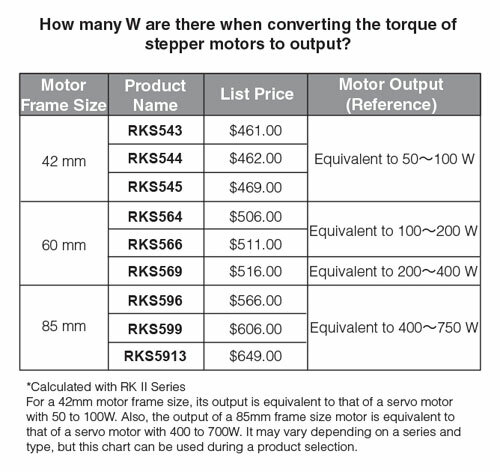 Obviously there is a major misconception about stepper motors. In fact, stepper motors have been used in various types of applications such as advanced equipment and accessible automated instruments. The reasons why stepper motors have been continuously chosen are explained in this article. Some readers may say that they have never seen a stepper motor before. 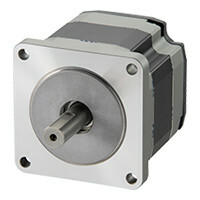 Stepper motors have been used in many applications and industries as the motor solution for drive systems requiring high accuracy control, such as factory automation (FA), manufacturing equipment for semiconductor, FPD and solar panel, medical devices, analytical instruments, precision stage, financial systems, food packaging machines, and aperture diaphragm adjustments for cameras. Impressive "Stopping Accuracy." Moves Quickly in the "Low / Mid-Speed Range"
Stepper motors have remarkable stopping accuracy, and accurate control with open-loop is possible. 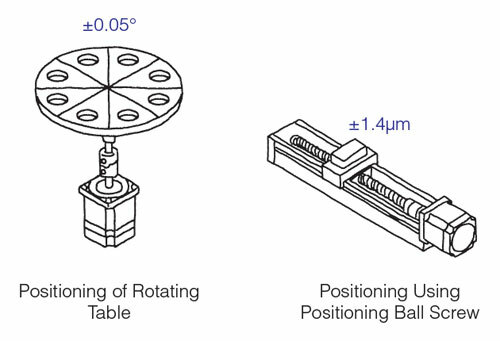 For example, when using the RK II Series for positioning of a rotating table, its stopping accuracy is within ±0.05° (with no load). Because stopping position errors do not accumulate between steps, high accuracy positioning is possible. The structure of the stepper motor, which requires no encoder, allows for the simple drive system and low cost. m. When using a rolled ball screw type, its accuracy declines to ±20µ m, indicating that the stopping accuracy of a stepper motor is much higher than that of ball screw types. High torque within the low / mid-speed range is another great feature of stepper motors. One of the main features of servo motors is to generate flat torque from mid to high speed ranges. 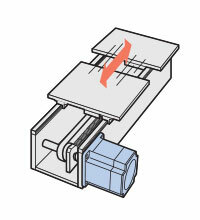 Servo motors are suitable for long-stroke operations (many rotations). On the other hand, torque characteristics of stepper motors are not flat. The torque curve within the low / mid-speed range tends to become very high, while becoming very low in the high speed range. 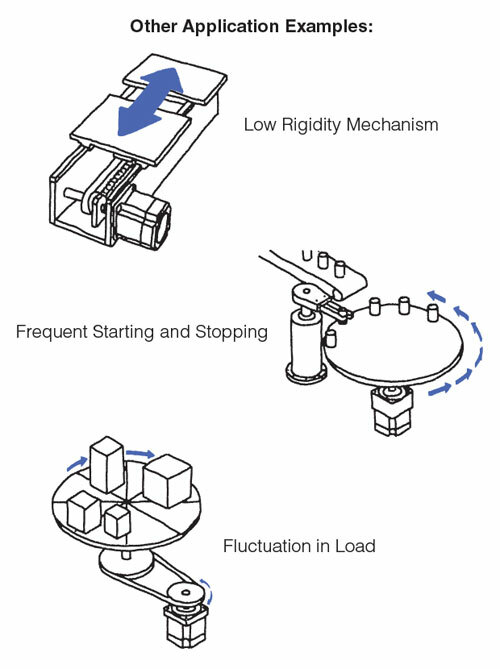 Besides the stable rotations in the low speed range, which servo motors struggle with, stepper motors can offer high torque within the required speed range for short-stroke operations (less rotations), thus they are suitable for selecting the desired step angle for multiple rotation tables and inching applications. This is due to the short positioning time for the short-stroke operation, thus the motor decelerates and stops before reaching the maximum speed. In other words, high-speed characteristics are usually not required. The third remarkable feature of stepper motors is responsiveness. 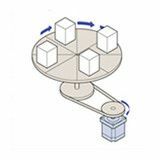 The open-loop control, which sends one-way commands to the motor, has a high followup mechanism toward commands. 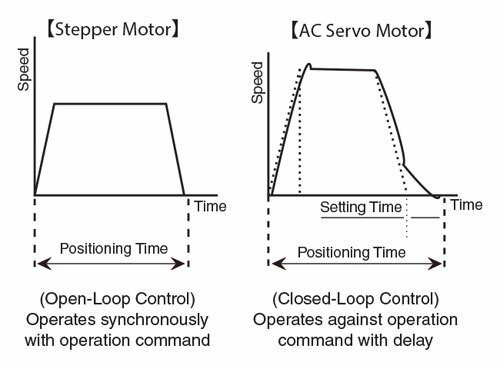 While servo motors, which wait for feedback from the encoder, tend to have "delays" with commands, stepper motors operate synchronously with a pulse. Therefore, there are very few "delays," resulting in excellent response. For this reason, stepper motors are suitable for applications that require synchronous operations of multiple motors. 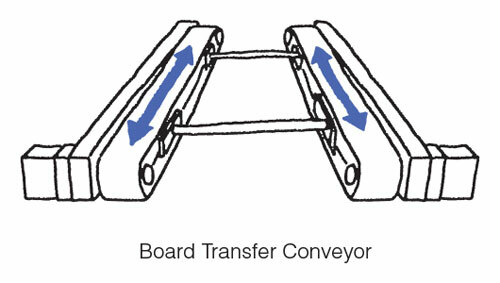 One example is a board transferring application that requires two conveyors, with one motor mounted respectively, to transfer boards in between the two conveyors. Excellent Low / Mid-Speed Range! Torque in an even lower speed range can be up to 5 times higher. For a shortdistance positioning, having high torque in the low / mid-speed range is essential. Other than an inching application with frequent starting and stopping, stepper motors are suitable for positioning of image check processors that dislike vibrations, cam drives that would be difficult to adjust with servo motors, and low rigidity mechanisms such as a belt drive. Furthermore, cost is reduced significantly by replacing a ball screw drive to a belt drive. Besides cost reduction, stepper motors have many advantages in terms of performance. 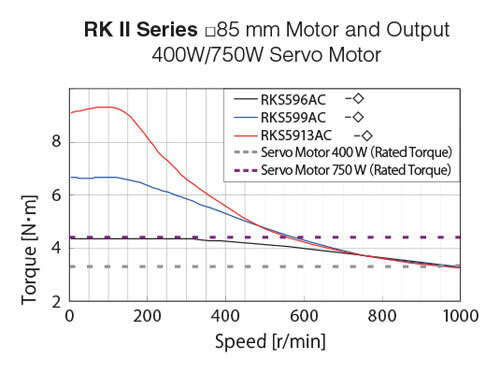 The following chart shows the converting torque of the RKII Series example to that of typical servo wattage ranges. Further down, detailed information on stepper motors, such as basic structure, system, and example applications, is introduced for more information on stepper motors. 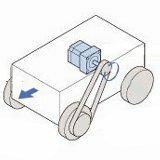 While having full control of rotation and speed, the simple structure of stepper motors is achieved without using electrical components, such as an encoder within the motor. For this reason, stepper motors are very robust and have high reliability with very few failures. As for stopping accuracy, ±0.05° (without cumulative pitch errors) is very accurate. Because positioning of stepper motors is performed by open-loop control and operated by the magnetized stator and magnetic rotor with small teeth, stepper motors have a higher follow-up mechanism toward commands than that of servo motors. Also, no hunting occurs when stopping stepper motors. They are also excellent in belt drives, which have low rigidity. When pulses are input to a driver through a pulse generator, stepper motors position according to the number of input pulses. The basic step angle of 5-phase stepper motors is 0.72° and 1.8° for 2-phase stepper motors. The rotating speed of the stepper motor is determined by the speed of the pulse frequency (Hz) given to the driver, and it is possible to freely change the motor rotation by simply changing the number of input pulses or frequencies to the driver. Stepper motors not only serve as position control motors, but also as speed control motors with high synchronization. • Positioning that requires long stopping time due to width adjustment, etc. 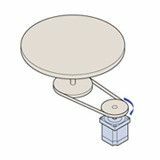 Because it is possible to perform accurate positioning and position control while synchronizing with the number of command pulses and speed, there is no need for devices, such as a sensor, for positioning. Therefore, the entire system is simple to build. If advanced control, such as an interpolation operation, is not required, the built-in controller function type driver is recommended. Cost is reduced by eliminating controllers, such as a pulse generator and PLC positioning modules. Although high accuracy positioning is possible with open-loop control, what would happen if a problem occured? 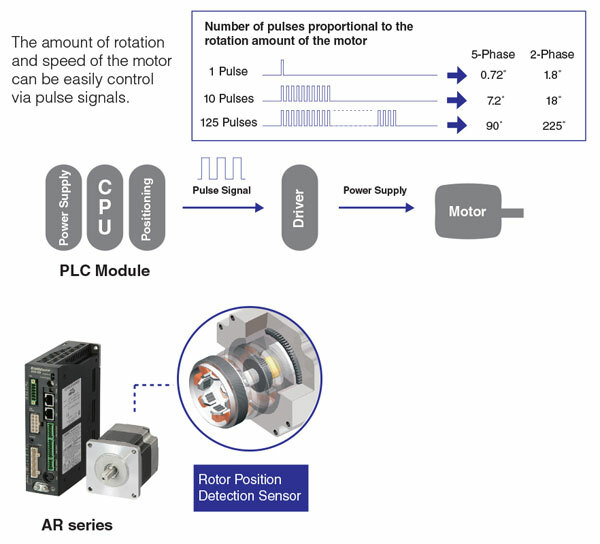 In order to avoid such pitfalls, an encoder type or built-in sensor closed-loop control type motor (AR Series) can be used. 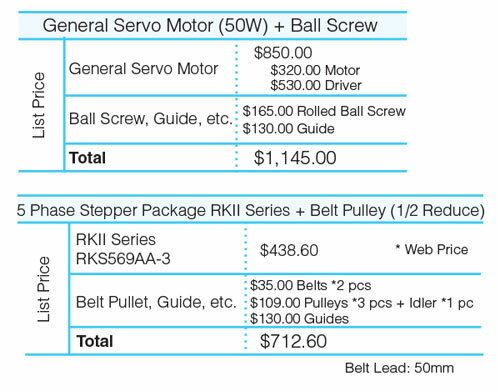 [Conditions of the Originally- Planned Equipment] Mechanism: Ball Screw + Servo Motor Conditions such as a load, speed, and lead, shown on the right, are determined based on the servo motor attached with ball screws and steel plate. 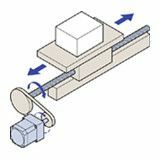 • Ball screw if trying to increase speed => Belt mechanism may be more suitable => 1000mm/sec to 1500mm/sec is possible with the belt mechanism. Change to belt if there is no issue with positioning accuracy. 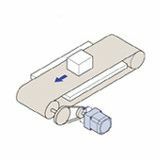 • Reduce cost significantly if changing to belt is possible => Belt is inexpensive but its low rigidity may affect stability of servo motor operation, even with automatic tuning. 1. Difference in Stopping Accuracy between Screw and Belt... How Much Stopping Accuracy Is Required? 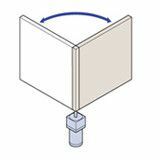 • Better stopping accuracy with the screw. No problem to change to the belt? => The application's required stopping accuracy is ±0.05 ~ 0.1mm, which is not as accurate as the one for the screw. Therefore, it should be okay to replace with the belt. 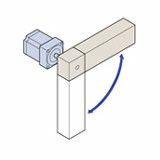 • If changing to the belt, rigidity on the mechanism gets low, thus the servo motor movements becomes unstable. 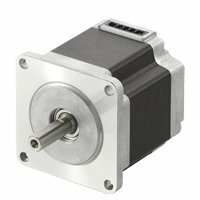 => Among positioning motors, stepper motors do not have a built-in encoder. For this reason, they require no adjustment and are strong against low rigidity. Their movements are stable regardless of fluctuating loads. If the output is the same, consider stepper motors. • Transportable Mass -> Max. permissible load 7kg • Traveling Speed -> Improved to 800 mm/ sec Motor => By changing from stepper motor to servo motor, reduced cost by 50%! Mechanism => By changing from ball screw to belt mechanism, reduced cost by 7%! By conducting a zero-based review of the mechanism as well as the motor selection based on characteristics, we managed to increase specifications and reduce cost, even with the motor size became slightly larger. In the past, motor selection was done based on its ease-of-use or familiarity. After this exercise, differences of operations between servo motors and stepper motors became clear. It was surprising that stepper motors are more affordable than expected. There must be room for cost reduction of other devices using this method. This exercise reacknowledged that the well-balanced selection between motor specifications and cost, while maximizing motor characteristics is the key. Assumption: The AC servo motor NX Series is equipped with a 20-bit encoder, thus it should have a fine resolution, and good stopping accuracy. Not quite. In the past there was no issue with the concept of "stopping accuracy of servo motors being equal to encoder resolution within ±1 pulse." 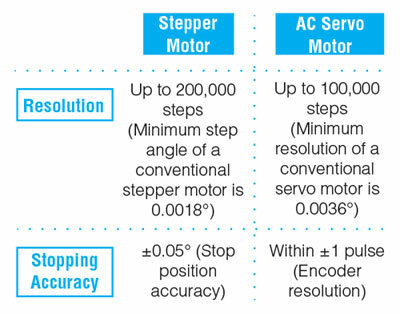 However, recent servo motors are equipped with the 20 bit encoder (1,048,576 steps) which has a very fine resolution. 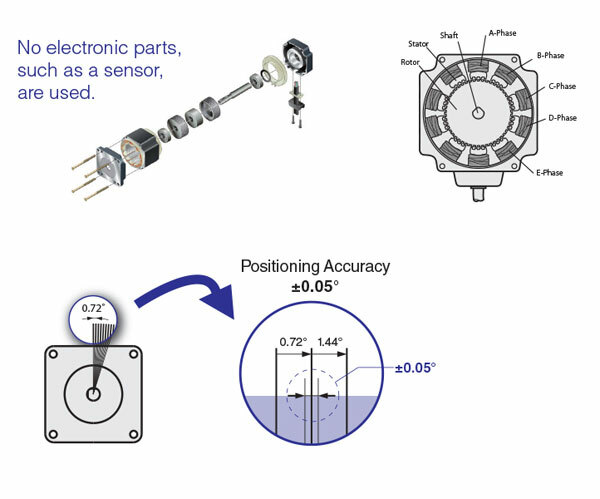 Because of this, errors due to the encoder installation accuracy have a huge effect on stopping accuracy. Therefore, the concept of stopping accuracy has slightly started to change. 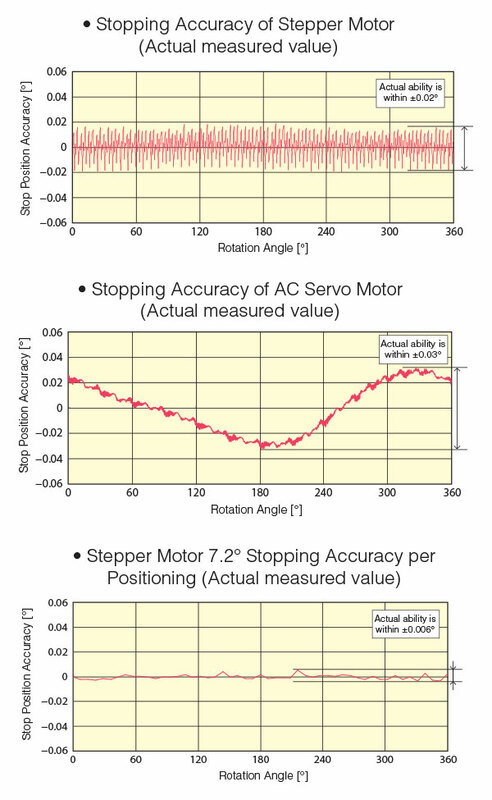 According to the comparison charts, stopping accuracy between stepper motors and AC servo motors is almost the same (±0.02º ~ 0.03º). 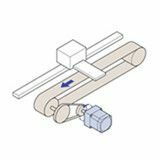 Accuracy depends on the mechanical precision of the motor for stepper motors, thus if stop position can be done per 7.2º, positioning is done by the same small teeth on the rotor at all times, according to the motor structure. This makes it possible to further improve stopping accuracy.